Launched way back in 1993 in Norsk Tipping, Hamar, Norway, Viking Lotto was known as the world’s first multi-national lottery. Five Nordic countries—namely, Norway, Finland, Sweden, Denmark, and Iceland—came together and created the Viking Lotto in the hopes of increasing each country’s lottery turnover at the time by offering a game with large jackpots at stake to the entire Scandinavian region. A few years later, after some success, the Viking Lotto bloc grew to a total of 6 countries, with Estonia joining the fray on March 22, 2000. Then, in 2011, Viking Lotto saw 2 more countries join—Latvia and Lithuania—which completes the current lineup of 8 countries offering the lotto. 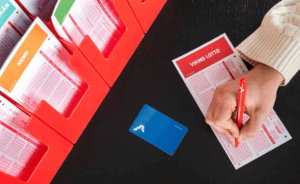 Draws Once a Week: Viking Lotto draws are held only once week—on Wednesdays, to be exact. Minimum Jackpot: Jackpots start at a guaranteed €1 million. Features Rollovers: Should no one win the jackpot, it will simply roll over to each succeeding draw until someone wins. In other words, Viking Lotto offers the potential to win big prizes. Simple Mechanics: Viking Lotto features simple, easy-to-learn mechanics—even lotto neophytes won’t have problems here. Nine Ways to Win: In addition to the jackpot, there are 8 more secondary prize categories you can win in. Tax-Free: All Viking Lotto prizes are tax-free. How Does Viking Lotto Work? Viking Lotto operates on a 6/48 plus 1/8 format. For the uninitiated, this simply means that, to play, you must choose six main numbers from a selection range of 1 to 48, plus an additional number—called the Viking—from a pool of 1 to 8. To win the jackpot, you must match all six of your main numbers, as well as the Viking number. If you don’t match all six numbers plus the Viking number—don’t fret—there are eight more prize categories you can win in. All in all, that’s a total of 9 prize categories—where the minimum requirement to win a prize is by matching only the Viking number. As far as jackpots go, they usually start at a guaranteed €1 million. In the event that no one wins a draw, the jackpot will simply rollover to the next draw until someone manages to match all 7 winning numbers. All Viking Lotto prizes are 100% tax-free—though, of course, if you’re not from any of the countries running Viking Lotto, your local tax laws will still apply (if any). At the very least, you won’t get double taxation because, at the source, you won’t have to worry about tax deductions. Even better, prizes are paid out in cash, as a lump sum. Meanwhile, jackpots and second-tier prizes are paid out at least three weeks after the draw. Winners have up to one year—or 365 days—to claim their prizes. Otherwise, unclaimed funds will go directly to various worthwhile causes and charities. As for claiming your prizes, each participating country has its own process. The same goes for which prizes can be claimed directly at an authorized Viking Lotto retailer, and which prizes must be claimed at their office/s. Needless to say, it’s better to check with your local Viking Lotto officials what their criteria are. A portion of the revenue from ticket sales goes to various good causes and charities. Each participating country distributed the profits differently. For instance, Danske Spil, which covers Denmark, funnels the proceeds to sports, cultural projects, non-profit charities like the Danish Organization for Disabled Persons, and even youth activities. The main jackpot offered is the same for all 8 participating countries, but the secondary prizes are different. You could be the next Viking Lotto winner–so what are you waiting for? Get your tickets now! All in all, there is a lot that lotto lovers will like about Viking Lotto. For starters, the minimum jackpot is nothing to scoff at, while the inclusion of a rollover mechanic is definitely welcome. And while draws are held only once a week, you do get nine ways to win—not to mention some decent odds. Finally, if you live in any of the countries that hold Viking Lotto draws, you’ll definitely love that prizes are paid out in cash and are 100% tax-free. Hi Ella, that depends on how you played the Viking Lotto! If you used an online lottery agent like theLotter, then that lottery agent will typically assist you with the prize claiming process. Usually, you’ll need to go and collect your winnings in person.